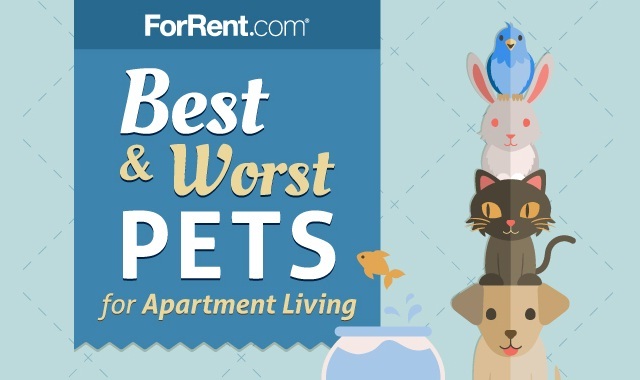 Best and Worst Pets for Apartment Living #infographic ~ Visualistan '+g+"
Over time, dogs are reportedly more stinky than cats by a 2 to 1 ratio. And yet, the age-old personality question persists: Are you a dog person or a cat person? Beyond personality, we wanted to look at the many other considerations of pet ownership that are important for apartment living. How much space does your pet need? How much care and walking will it require? Is it stinky? How much does it poop? To know the answers have a look at below infographic.